Komplete Kontrol S88 MK 2. This is what makes Native Instruments the outstanding company that they are. The world’s best controller has just gotten better. These kind of products. We already have the Komplete Kontrol S88 in the studio and it has completely transformed the way that we work. When you decide to put all your workflow eggs in one basket, it can be a huge gamble.But each and everyday we use it, we don’t regret it for a second. Check out the video below and make sure you save your coins, this controller will be a game changer. 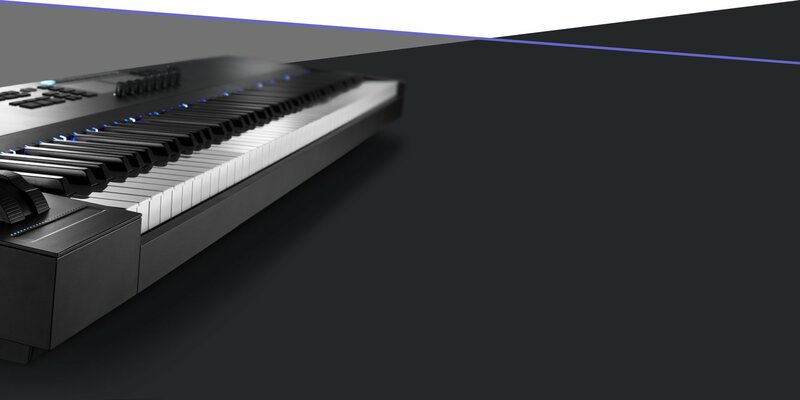 KOMPLETE KONTROL S88 combines the best-feeling hammer-action keybed around with vivid visual feedback and tight integration for your entire workflow: Browse and preview all your presets from KOMPLETE and hundreds of NKS plug-ins, sculpt your sound, and control your favorite DAW from the ultimate studio centrepiece. 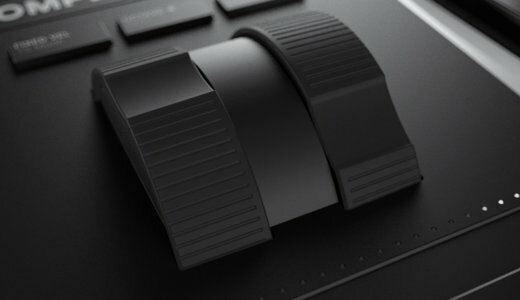 KOMPLETE KONTROL S88 now sports ergonomic pitch and mod wheels, plus a touch strip for expanded creative possibilities. Mix, edit, and more in MASCHINE, Logic Pro X, Ableton Live, Cubase, Nuendo, and GarageBand. A keyboard that feels better plays better. Express yourself on 88 fully weighted Fatar keys, each with an advanced hammer-action mechanism, Smart Spring technology, and memory-foam damping for a realistic piano feel. The S88 puts everything you need to know right in your line of sight: Get essential information on sounds and projects from two high-res color screens; see exactly what’s going on with backlit buttons that vary in color and intensity; and pinpoint the location of sounds, key zones, switches, scales, and more with Light Guide. Finding the right sound amongst a sprawling sound library can be difficult, not to mention time consuming. Now you can find exactly what you’re looking for across all KOMPLETE and Native Kontrol Standard (NKS) instruments using a simple, intuitive tagging system – directly from the hardware. What’s more, you can hear a preview of each sound as you browse, without loading the instrument. Your soundtrack needs epic strings? Select Bowed Strings > String Ensemble > Sample-based, scroll through the presets and pick the best fit. And if you really like what you hear, just tag it as a favorite for instant access next time. All of your KOMPLETE and NKS instruments and effects are pre-mapped to the KOMPLETE KONTROL hardware by the people who know them best – the instrument designers themselves. Essential parameters like envelope controls and filter cutoffs load instantly and are displayed across the two color displays, intuitively divided into pages. That means you can see exactly what you’re adjusting in real time – whether it’s in kHz, dB, or BPM. Stay in key, with notes of the currently selected scale or mode lit on the Light Guide. Activate chord mode to create a progression by playing single keys, then switch on the arpeggiator and turn it into an expressive musical performance. And for keyboard novices, Easy Mode maps the white keys to whichever scale you like, so you’ll never hit a wrong note. 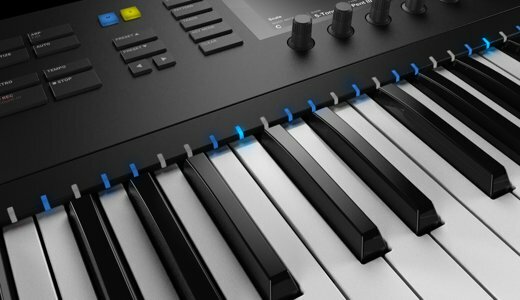 Capture all your ideas, directly from the keyboard itself: KOMPLETE KONTROL gives you immediate access to transport, mixing, and editing controls in Logic Pro X, Ableton Live, Cubase, Nuendo, and GarageBand, complete with visual feedback and volume metering on the keyboard’s built-in displays. And with MIDI in / out, incorporating outboard gear into your setup is just as simple. For a quick-reference guide to using KOMPLETE KONTROL Mk2 keyboards in the above DAWs, download the DAW shortcut sheet. NKS means intuitive control over hundreds of instruments and effects from leading manufacturers – including Heavyocity, Spitfire Audio and Waves. This extended plug-in format allows all developers to define the way their products integrate with NI hardware, so support for powerful features like tag-based browsing, Light Guide feedback, and pre-mapped controls now extends far beyond the KOMPLETE universe. And for plug-ins that haven’t yet been updated to NKS, it’s simple to create your own mappings from KOMPLETE KONTROL software. 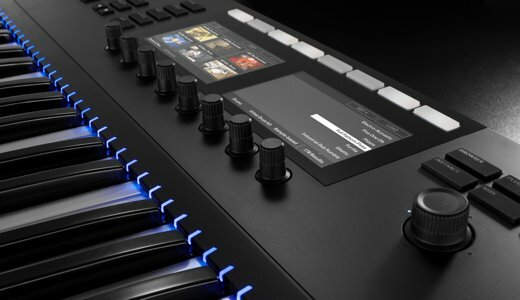 Register your KOMPLETE KONTROL hardware to download KOMPLETE 12 SELECT for free – the essential collection of instruments and effects, including MASSIVE, MONARK, and THE GENTLEMAN. The package features more than 7,000 sounds and over 33 GB of instruments and effects, giving you the perfect palette of sounds for any genre. This entry was posted in Music Production, Opinion, Product Reviews. Bookmark the permalink.